Mike Forde suffered head injuries, and was in danger of losing the domain Briteline.com – until a panelist found that the UDRP Complainant failed to provide proof of bad faith registration. Briteline.com was registered in 1996 and in 2004 a company registered the mark BRITELINE. Some 14 years later, they filed a UDRP at the National Arbitration Forum. Complainant is Grimco, Inc. (“Complainant”), represented by Laila S Wolfgram of STINSON LEONARD STREET LLP, Missouri, USA. Respondent is Briteline Consulting / Mike Forde (“Respondent”), Florida, USA. The domain name at issue is <briteline.com>, registered with eNom, LLC. Complainant submitted a Complaint to the Forum electronically on November 1, 2018; the Forum received payment on November 6, 2018. On November 5, 2018, eNom, LLC confirmed by e-mail to the Forum that the <briteline.com> domain name (the “Domain Name”) is registered with eNom, LLC and that Respondent is the current registrant of the name. eNom, LLC has verified that Respondent is bound by the eNom, LLC registration agreement and has thereby agreed to resolve domain disputes brought by third parties in accordance with ICANN’s Uniform Domain Name Dispute Resolution Policy (the “Policy”). On November 8, 2018, the Forum served the Complaint and all Annexes, including a Written Notice of the Complaint setting a deadline of December 3, 2018 by which Respondent could file a Response to the Complaint, via e-mail to all entities and persons listed on Respondent’s registration as technical, administrative, and billing contacts, and to postmaster@briteline.com. Also on November 8, 2018, the Written Notice of the Complaint, notifying Respondent of the e-mail addresses served and the deadline for a Response, was transmitted to Respondent via post and fax to all entities and persons listed on Respondent’s registration as technical, administrative and billing contacts. On December 5, 2018, pursuant to Complainant’s request to have the dispute decided by a single-member Panel, the Forum appointed Charles A. Kuechenmeister as Panelist. Complainant is a wholesale manufacturer and distributor providing a wide array of products to the sign industry, including, but not limited to, traffic signs, blanks, substrates, boards, digital print media, wrap films, sign vinyl, application tape, banner material and supplies, sign frames, banner stands, LEDs and electrical accessories, grand format solvent/UV/latex printers, inks and software. Complainant has common law rights in the BRITELINE mark dating from 2004, and it registered the mark with the United States Patent and Trademark Office (“USPTO”) (Reg. No. 3,572,247) on February 9, 2009. Respondent’s Domain Name is identical or confusingly similar to Complainant’s mark as it merely appends the “.com” generic top-level domain (“gTLD”) to the mark. Respondent has no rights or legitimate interests in the Domain Name. Complainant has not authorized, licensed, or otherwise permitted Respondent to use its BRITELINE mark, and Respondent does not use the Domain Name in connection with a bona fide offering of goods or services or legitimate noncommercial or fair use. Rather, the Domain Name resolves to an inactive website. Further, Respondent was willing to sell the domain name to Complainant for a price far in excess of its out-of-pocket costs related to the Domain Name. Respondent registered and uses the Domain Name in bad faith. Respondent is willing to sell the Domain Name for a price exceeding out-of-pocket expenses. Further, the Domain Name has resolved to the same inactive webpage since at least as early as January of 2011. Moreover, Respondent undoubtedly was aware of Complainant and its BRITELINE mark as the Domain Name prominently features the BRITELINE mark and Complainant’s rights in the BRITELINE mark predate Respondent’s registration of the domain name. The November 27, 2018 email does not meet the requirements of Rule 5 for a Response, and the Panel has not treated it as such. Paragraph 10(c) of the Rules permits the Panel to extend, in exceptional circumstances, a period of time fixed by the Rules. Paragraph 6(a) of Forum Supplemental Rules permit either party to request an extension of the time for filing a Response, but that request is to be made to Forum before the matter is referred to a panel for a decision on the merits of the case, and in any event no extension in excess of twenty days is authorized by the rule. The Policy is intended to afford parties a summary, expeditious resolution of domain name disputes. With this in mind, the Panel finds that a stay of four months is not consistent with the purposes and objectives of the Policy and orders that, to the extent that the November 27, 2018 email is submitted by a person authorized to act on behalf of the Respondent, the request for a stay is denied. In view of Respondent’s failure to submit a response, pursuant to paragraphs 5(f), 14(a) and 15(a) of the Rules the Panel will decide this administrative proceeding on the basis of Complainant’s undisputed representations and draw such inferences it considers appropriate pursuant to paragraph 14(b) of the Rules. The Panel is entitled to accept all reasonable allegations and inferences set forth in the Complaint as true unless the evidence is clearly contradictory. See Vertical Solutions Mgmt., Inc. v. webnet-marketing, inc., FA 95095 (Forum July 31, 2000) (holding that the respondent’s failure to respond allows all reasonable inferences of fact in the allegations of the complaint to be deemed true); see also Talk City, Inc. v. Robertson, D2000-0009 (WIPO Feb. 29, 2000) (“In the absence of a response, it is appropriate to accept as true all allegations of the Complaint.”). Complainant claims common law rights in the BRITELINE mark dating from 2004 but offers no evidence in support of that claim. It did, however, register the mark with the USPTO (Registration No. 3,572,247) on February 9, 2009. See, Amended Complaint Exhibit 3. Registration of a mark with the USPTO is sufficient to establish a complainant’s rights in a mark for the purposes of Policy ¶ 4(a)(i). Humor Rainbow, Inc. v. James Lee, FA 1626154 (Forum Aug. 11, 2015) (stating, “There exists an overwhelming consensus amongst UDRP panels that USPTO registrations are sufficient in demonstrating a complainant’s rights under Policy ¶ 4(a)(i) and its vested interests in a mark. . . . Due to Complainant’s attached USPTO registration on the principal register at Exhibit 1, the Panel agrees that it has sufficiently demonstrated its rights per Policy ¶ 4(a)(i).”). Respondent’s Domain Name is virtually identical to Complainant’s mark as it incorporates the mark verbatim and merely adds the “.com” gTLD at the end. The addition of a gTLD is not sufficient to distinguish the Domain Name from Complainant’s mark for the purposes of Policy ¶ 4(a)(i). Tupelo Honey Hospitality Corporation v. King, Reggie, FA 1732247 (Forum July 19, 2017) (“Addition of a gTLD is irrelevant where a mark has been fully incorporated into a domain name and the gTLD is the sole difference.”). For the reasons set forth above, the Panel finds that the Domain Name is identical or confusingly similar to the BRITELINE mark, in which Complainant has substantial and demonstrated rights. If a complainant makes a prima facie case that the respondent lacks rights or legitimate interests in the domain name under Policy ¶ 4(a)(ii), the burden of production shifts to respondent to come forward with evidence that it has rights or legitimate interests in it. Neal & Massey Holdings Limited v. Gregory Ricks, FA 1549327 (Forum Apr. 12, 2014) (“Under Policy ¶ 4(a)(ii), Complainant must first make out a prima facie case showing that Respondent lacks rights and legitimate interests in respect of an at-issue domain name and then the burden, in effect, shifts to Respondent to come forward with evidence of its rights or legitimate interests”). If a respondent fails to come forward with such evidence, the complainant’s prima facie evidence will be sufficient to establish that respondent lacks such rights or legitimate interests. If the respondent does come forward with such evidence, the Panel must assess the evidence in its entirety. At all times, the burden of proof remains on the complainant. WIPO Overview of WIPO Panel Views on Selected UDRP Questions, Third Edition (“WIPO Overview 3.0”) at ¶ 2.1. Complainant asserts that Respondent has no rights or legitimate interests in the Domain Name because (i) it is not using the Domain Name in connection with a bona fide offering of goods and services or for a legitimate noncommercial or other fair use because the name resolves to a web site that is inactive, and (ii) Complainant has not authorized or licensed Respondent to use its mark. These allegations are supported by competent evidence. Amended Complaint Exhibit 6 is a screenshot of the web site currently resolving from the Domain Name. It is essentially blank—there is no substantive content whatever. Amended Complaint Exhibit 7 is a screenshot of Respondent’s web site as of January 2011 through April 2012. It appears much if not exactly the same as the Exhibit 6 screenshot. It is obvious from this evidence that Respondent is passively holding the Domain Name and has been doing so since early 2011. Passive holding of a confusingly similar domain name has often been held to demonstrate a lack of rights or legitimate interests, as it does not qualify as either a bona fide offering of goods and services for the purposes of Policy ¶ 4(c)(i) or a legitimate noncommercial or fair use within the meaning of Policy ¶ 4(c)(iii). Bloomberg L.P. v. SC Media Servs. & Info. SRL, FA 296583 (Forum Sept. 2, 2004) (“Respondent is wholly appropriating Complainant’s mark and is not using the <bloomberg.ro> domain name in connection with an active website. The Panel finds that the [failure to make an active use] of a domain name that is identical to Complainant’s mark is not a bona fide offering of goods or services pursuant to Policy ¶ 4(c)(i) and it is not a legitimate noncommercial or fair use of the domain name pursuant to Policy ¶ 4(c)(iii).”). Complainant states further that it has never licensed or authorized Respondent to use its mark in any way. Complainant has specific competence to make this statement, and it is unchallenged by any evidence before the Panel. In the absence of evidence that a respondent is authorized to use a complainant’s mark in a domain name or that a respondent is commonly known by the disputed domain name, the respondent may be presumed to lack rights and legitimate interests in the domain name. IndyMac Bank F.S.B. v. Eshback, FA 830934 (Forum Dec. 7, 2006) (finding that the respondent failed to establish rights and legitimate interests in the <emitmortgage.com> domain name as the respondent was not authorized to register domain names featuring the complainant’s mark and failed to submit evidence that it is commonly known by the domain name). According to the information furnished to Forum by eNom, LLC, the registrant of the Domain Name is “Mike Forde,” and the registrant organization is “Briteline Consulting.” Mr. Forde’s name bears no resemblance to the Domain Name. The name of the registrant organization contains the name “Briteline” but there is no evidence as to whether or the manner in which Respondent may have used this name in connection with a business, when any such use began, or the extent to which Respondent may actually have become known by that name. Certainly, the inactive web site offers no indication that Respondent has been known by that name. As regards Mr. Forde’s name, UDRP panels have consistently held that evidence of a registrant name that is materially different from the domain name at issue is competent evidence that the respondent is not commonly known by the domain name. Guardair Corporation v. Pablo Palermo, FA1407001571060 (Forum Aug. 28, 2014) (holding that the respondent was not commonly known by the <guardair.com> domain name according to Policy ¶ 4(c)(ii), as the WHOIS information lists “Pablo Palermo” as registrant of the disputed domain name). As to the “Briteline Consulting” name, there is no evidence in the record to support a finding that Respondent has been commonly known by either that name or the Domain Name within the meaning of Policy ¶ 4(c)(ii). Finally, Amended Complaint Exhibit 5 consists of copies of communications between Complainant and Respondent, in which Respondent replied to Complainant’s offer to pay $2,000.00 for the Domain Name, saying “It would take a significant amount of money for me to sell it. Unless you are willing to add another zero to that factor, I’m afraid there is no deal to be made.” Respondent’s willingness to sell the Domain Name to Complainant is evident from this correspondence. Offering a confusingly similar domain name for sale has also been held to evidence a lack of rights or legitimate interests under Policy ¶ 4(a)(ii). Enterprise Holdings, Inc. v. Huang Jia Lin, FA1504001614086 (Forum May 25, 2015) (“Accordingly, the Panel finds that Respondent’s general attempt to sell the disputed domain name is further evidence of Respondent’s lack of rights and legitimate interests under Policy ¶ 4(a)(ii).”). Complainant has made its prima facie case. On the evidence presented, and in the absence of any evidence from Respondent, the Panel finds that Respondent has no rights or legitimate interests in the Domain Name. (iv) by using the domain name, respondent has intentionally attempted to attract, for commercial gain, Internet users to respondent’s web site or other on-line location, by creating a likelihood of confusion with the complainant’s mark as to the source, sponsorship, affiliation or endorsement of respondent’s web site or location or of a product of service on respondent’s web site or location. The evidence of Respondent’s use of the Domain Name discussed above in connection with rights and legitimate interests also supports a finding of bad faith use of the Domain Name. Both passive holding of a domain name and offering to sell it to a complainant for a price in excess of the respondent’s out-of-pocket costs directly related to the domain name have been held to constitute bad faith use. VideoLink, Inc. v. Xantech Corporation, FA1503001608735 (Forum May 12, 2015) (“Failure to actively use a domain name is evidence of bad faith registration and use pursuant to Policy ¶ 4(a)(iii).”), George Weston Bakeries Inc. v. McBroom, FA 933276 (Forum Apr. 25, 2007) (concluding that the respondent registered and was using the <gwbakeries.mobi> domain name in bad faith according to Policy ¶ 4(b)(i) where it offered it for sale for far more than its estimated out-of-pocket costs it incurred in initially registering the disputed domain name). It is equally clear, however, that both bad faith use and registration must be proven in order for a complainant to prevail. Teradyne, Inc. v. 4tel Technology, No. 2000-0026 (WIPO May 9, 2000) (“it was not the intent . . . to extend the definition of ‘abusive registration’ to include domain names originally registered in good faith.” Weatherall Green & Smith v. Everymedia.com, No. D2000-1528 (WIPO February 19, 2001), Substance Abuse Management, Inc. v. Screen Actors Modesl [sic] International, Inc. (SAMI) No. D 2001-0782 (WIPO August 14, 2001) (If a domain name was registered in good faith, it cannot, by changed circumstances, the passage of years, or intervening events, later be deemed to have been registered in bad faith). Complainant argues that Respondent had actual knowledge of Complainant’s rights in the BRITELINE mark when it registered the Domain Name. Actual knowledge of a complainant’s rights in a mark prior to registering a confusingly similar domain name has often been held to evidence bad faith under Policy ¶ 4(a)(iii). Univision Comm’cns Inc. v. Norte, FA 1000079 (Forum Aug. 16, 2007) (rejecting the respondent’s contention that it did not register the disputed domain name in bad faith since the panel found that the respondent had knowledge of the complainant’s rights in the UNIVISION mark when registering the disputed domain name). Complainant asserts that Respondent undoubtedly was aware of Complainant and its BRITELINE mark as the Domain Name prominently features the BRITELINE mark and Complainant’s rights in the BRITELINE mark predate Respondent’s registration of the domain name. Complainant’s arguments are not, however, supported by the evidence. According to the WHOIS report submitted as Amended Complaint Exhibit 2, Respondent registered the Domain Name on or about November 14, 1996, some eight years before Complainant’s alleged first use of the BRITELINE mark in commerce. 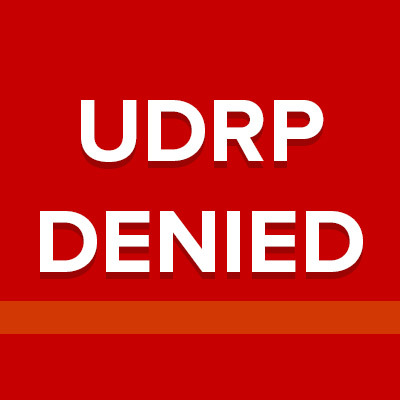 UDRP panels have almost universally held that a complainant cannot in most cases prove bad faith registration of a domain name when that name was registered before the complainant acquired rights in its mark. Telecom Italia S.p.A. v. NetGears LLC, FA 944807 (Forum May 16, 2007) (a respondent can not be found to have registered or used the disputed domain name in bad faith where the respondent registered the disputed domain name before the complainant began using the mark). Subject to scenarios described in 3.8.2 [dealing with domain names registered in anticipation of trademark rights], where a respondent registers a domain name before the complainant’s trademark rights accrue, panels will not normally find bad faith on the part of the respondent. None of the exceptions to this general principle apply to the present case. There is no evidence that Respondent somehow anticipated Complainant’s adoption of the BRITELINE mark some eight years later and intended to take advantage of that by registering the Domain Name. Nor is there any other evidence of bad faith registration of this Domain Name. Accordingly, the Panel finds that Complainant has failed to prove that Respondent registered the Domain Name in bad faith. Complainant having failed to prove all three elements required under the ICANN Policy, the Panel concludes that relief shall be DENIED. Accordingly, it is Ordered that the <briteline.com> Domain Name REMAIN WITH RESPONDENT. My name is Mike Forde and I need to resolve the issues with BRITELINE.COM and continue using it without further interference. Please advise how this may be accomplished. I want others to be successful in their businesses, but I need my efforts to be successful, as well. Thank you. Mike – I’ve emailed you directly, thanks for reaching out.